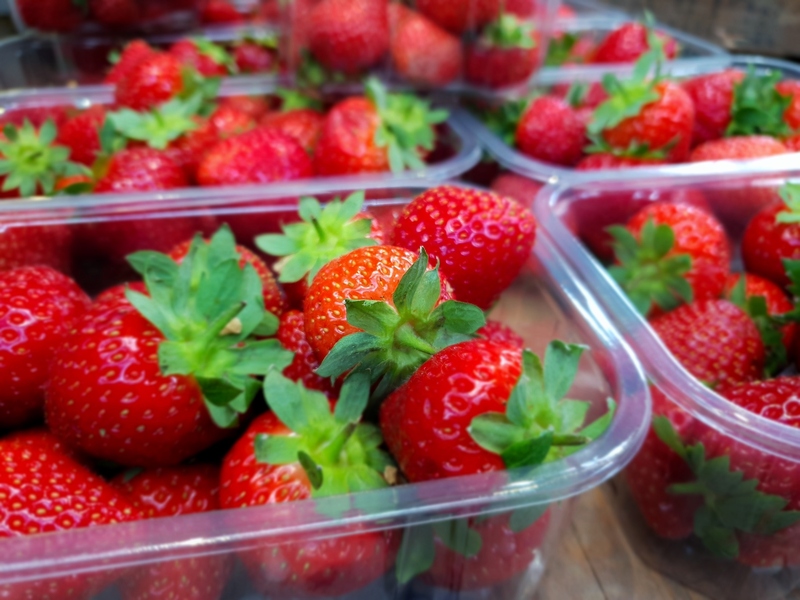 These perfect little sponges are a great accompaniment to fresh Kentish Strawberries. The warm citrus notes from the thyme compliments the freshly cut strawberries. All the hard work is in making of the sponge mix and then they can be baked at any time as the mix will just get better with the addition of the lemon flavour. We use small non-stick moulds that are well worth a purchase or to put on a birthday present list. Most quality cookware shops will have them or something similar or you can always bake them in small buttered and floured Yorkshire pudding moulds if all else fails. In the past, I have also added in golden raisins to this sponge mix, which works really well too. Mix the ground almonds, icing sugar and cornflour together until evenly mixed. To make the brown butter, heat the butter in a warm saucepan and then cook it slowly, whisking all the time, until it turns golden brown. Allow it to cool, but keep it liquid. This process gives the sponges their distinct flavour. Add the zest of the lemon to the almond mix. Wash the thyme and then gently pat dry with kitchen paper. Pick off the leaves and lightly chop them up- this releases their natural herb oil. Add the thyme to the almond and lemon zest mix. Finally add in the honey, egg whites and mix carefully until you have a smooth mixture. Then mix in the cooled brown butter and leave it to rest for 30 minutes or place into your fridge until needed. If using from the fridge. Leave to come up to room temperature to make it easier to spoon into your moulds. Bake your sponges for 10 minutes until golden brown and leave to cool on a cooling wire. Hull your strawberries and cut them into a serving bowl, dust with a little icing sugar and serve with the warm lemon sponges.